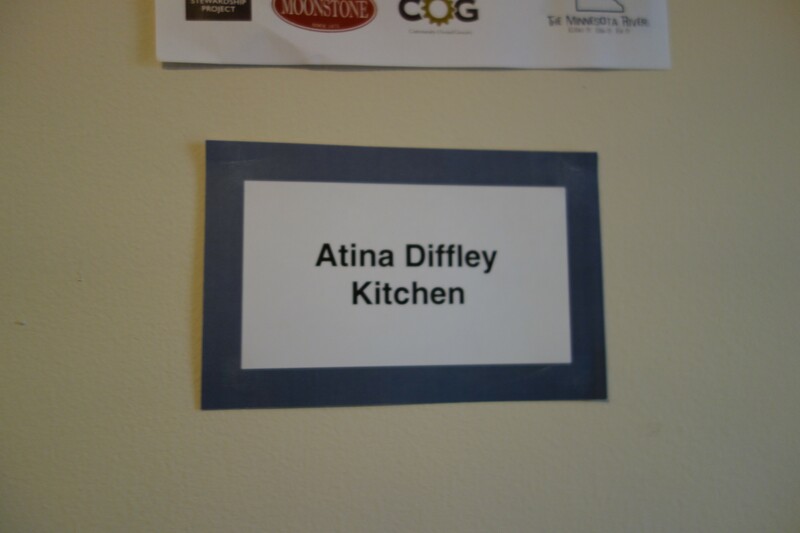 The Atina Diffley Kitchen and Give To CURE! Guess! 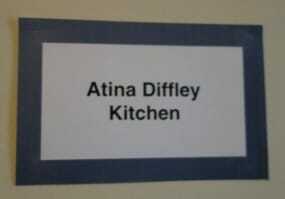 Where in the world is the Atina Diffley Kitchen! What could be better than having a kitchen named after oneself! 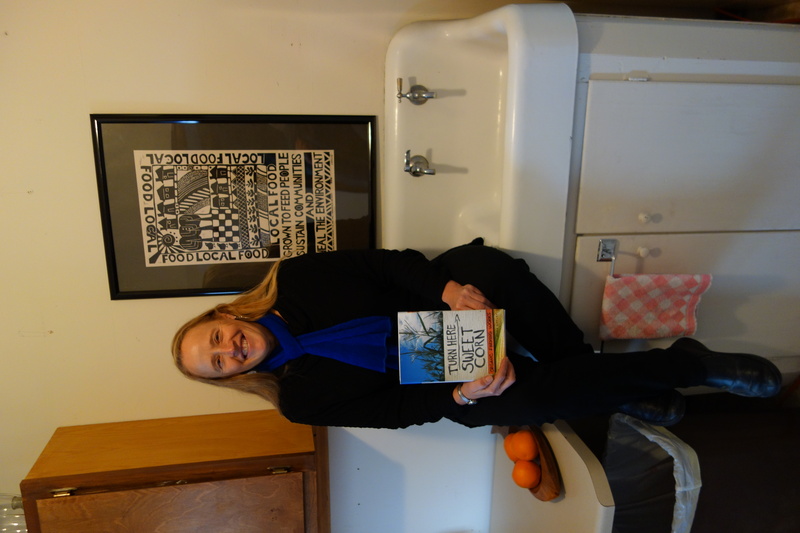 The Atina Diffley Kitchen in the Writer’s Retreat at CURE in Montevideo, MN. Today is G IVE TO THE MAX DAY in Minnesota! On Thursday, November 15, every donation you make gives your favorite organizations the chance to win even more money. Here’s my pick for 2012. I hope you’ll join me in supporting CURE, a MN non-profit that is making a BIG difference. CLEAN UP THE RIVER ENVIRONMENT is doing quadruple duty. There’s our precious Water, CURE is leading the charge in cleaning up the Minnesota River. They protect Soil. To clean up the river they work to create more living cover on the land–they want more buffer strips everywhere! And Fertilizer–a lot of “nutrients” get into the river by attaching themselves to soil particles, so keeping the soil covered can help stop nutrient pollution as well. And on top of all that CURE supports Writers! Upstairs of their office in downtown Montevideo CURE has built a writers retreat which they graciously made available to me when I started writing Turn Here Sweet Corn. Each of the retreat rooms are named after authors. There’s the Paul Gruchow Parlor, and the Joseph Amato Study, Joe and Nancy Paddock have a hall named after them, and I slept in the Florence Dacey Bedroom when I wrote there. 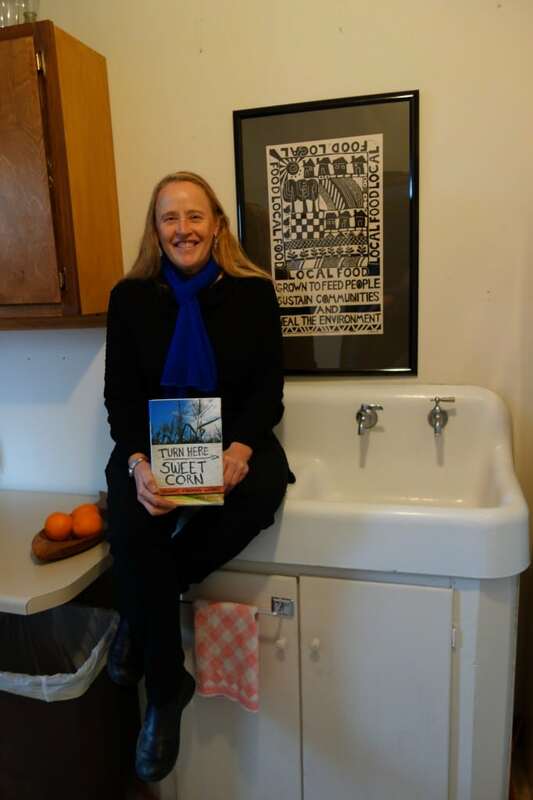 The Athena Kildegaard Bedroom is just down the hall, and now I am absolutely tickled, pleased giddy-silly, and honored red to be part of this amazing group of passionate writers and to tell you that the the Atina Diffley Kitchen has recently been christened!!! 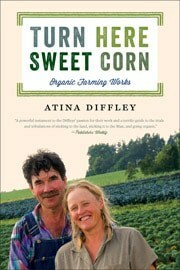 [Read more…] about The Atina Diffley Kitchen and Give To CURE!